May 13th is National Frog Jumping Day! Commemorating Mark Twain’s short story “The Celebrated Jumping Frog of Cavaleras County” published in 1865, this is the essay that “jump” started Samuel Clemens literary career and made the name Mark Twain famous. Let’s take Twain’s advice and “hop” out and enjoy three wonderful horse riding areas around the nation that have special significance to this literary legend. We’ll begin in the Show Me State near where Twain was born then head north to Ohio where he spent a year as a typesetter at a newspaper in Cincinnati before heading west to California where “The Celebrated Jumping Frog of Cavaleras County” was penned in 1865. 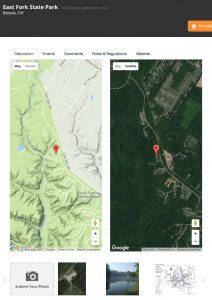 The Frank Russell Trail Head is a quick 30-minute drive from Samuel Langhorne Clemens’s 1835 birthplace in Florida, MO. 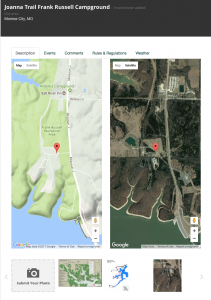 Both Florida and the Frank Russell campground are situated on the shores on the appropriately named Mark Twain Lake. 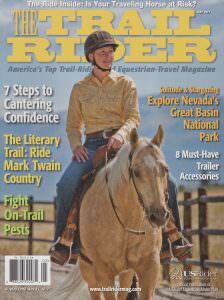 Horse riders that visit will find several trails that cross a variety of terrain. 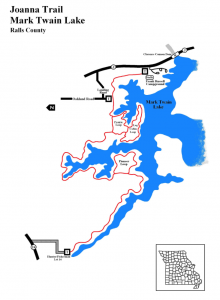 Easy to rugged; take your pick of the trails as you pass through forested areas, across meadows, and in view of and near Mark Twain Lake. The Frank Russell Trail Head is on the east end of the Joanna Trail; the main trail that runs for 30 miles to the western end of the lake. Several secondary trails form loops that allow riders to explore many other areas around the lake. The Log Cabin Loop takes riders past the former site of a log cabin. A welcoming picnic area now sits where the cabin once stood. Several additional access points along the Joanna Trail allow riders to tailor a horse ride to their yearnings, long out and back treks, or shorter scenic loops. 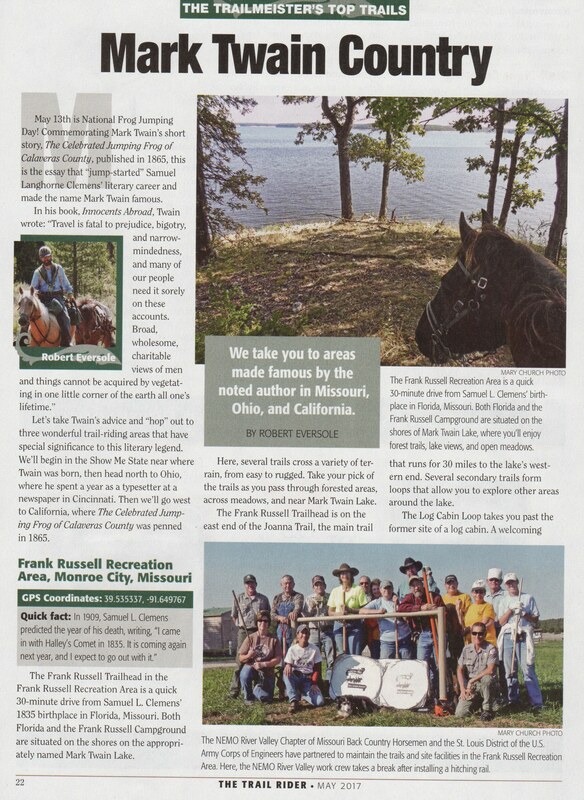 For riders looking for something beyond a day ride the Frank Russel Recreation Area will not disappoint. Seven equestrian friendly camp sites, complete with electricity, shared potable water, table, grill and even lantern hangers are available. The amenities for your ponies are just as pleasant with ten covered horse stalls are available on a first come first served basis. 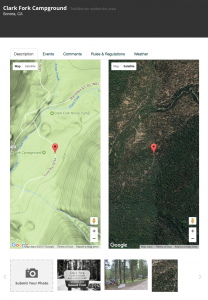 If the stalls should be full, highlines are allowed and located near every camp site. Campers with LQ rigs will be pleased to know that an RV dump station is nearby as well. A lot of hard work and effort goes into keeping this very special area accessible to equine use. The NEMO River Valley Chapter of Missouri Back Country Horsemen and the St. Louis District of the U.S. Army Corps of Engineers have partnered to work together to provide trail maintenance, and many of the site facilities that make it a wonderful destination point not just for horsemen but all trail users. Just thirty miles from downtown Cincinnati, Ohio where Clemens worked as a typesetter from 1856 to 1857, before becoming a riverboat pilot, is East Fork State Park. At nearly 5,000 acres in size East Fork is one of Ohio’s largest state parks and has plenty of space, and trails for horse riders to roam and explore. QUICK FACT – Piloting riverboats is where Clemens got his pen name. Mark Twain, from “mark twain”, the cry for a measured river depth of two fathoms (12 feet), the safe water depth for a steamboat. A well-appointed and comfortable horse camping experience awaits horse riders who visit East Fork. The horse camp sits nestled along a forested area and boasts 17 campsites each with highlines, fire pit, and picnic table. Centrally located water spigots, restrooms, electrical connections, and even a shower house ‘round out the comforts to be found here. 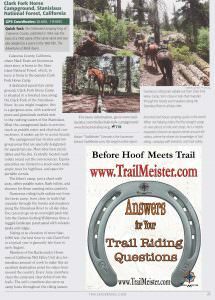 Of course, the best part of the park are the many horse friendly trails are easily accessed directly from camp. 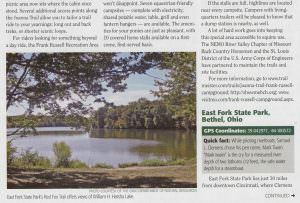 It’s the horse riding that we’re interested in and East Fork State Park won’t disappoint in this regard. 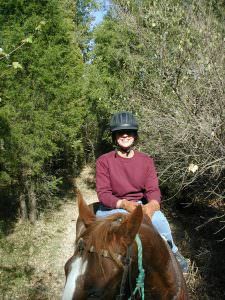 Five main trails, including the 32-mile-long perimeter trail are equine friendly. Almost the entire northern portion of the park is the domain of horses and hikers. Bicycles are limited to the south end of the park where they have their own trailhead and parking area. Many of the horse trails at East Fork radiate outwards from the day use area and most are well marked and maintained. Trails meander through dense forests across the rolling hillsides on both sides of the access road. One of my favorite rides at East Fork is the Red Fox trail which offers fabulous views overlooking Harsha Lake from numerous areas including a great lunch spot complete with picnic tables! Day riders will appreciate the expansive day use area which is located away from the main camping space and has its own restrooms, mounting block and even an expansive open area that is often home to special events. Riders venturing to East Fork in the spring months will almost certainly encounter some of the deep clinging mud that East Fork is known for. The glacial forces that created the rolling hills that make riding here so enjoyable glaciers are also responsible for the springtime muddy conditions that affect some of the trails. Open to equine use all year I’ve found that my favorite season to visit East Fork is fall before the snow falls. Fall not only brings fabulous colors as the resident maples, oaks, and hickories turn brilliant shades of gold, yellow and red but the trails have had all summer to dry even the boggiest areas. Helping keep this area open to stock use are members of the Ohio Horse Council as well as other local groups who work with the park managers to improve the trails and facilities. One area that has been vastly improved is the blue trail that runs from the horse camp to the day use area. Thanks OHC! The first of many literary successes penned by Samuel L. Clemens under the name Mark Twain was a short story titled “The Celebrated Jumping Frog of Calaveras County” written in 1864. Calaveras County is home to the Stanislaus National Forest which is in turn home to the popular Clark Fork Horse Camp. QUICK FACT – Twain’s story “The Celebrated Jumping Frog of Calaveras County” was the basis of a 1950 opera of the same name and was also adapted as a scene in the 1985 film “The Adventures of Mark Twain”. A dedicated equestrian campground, the Clark Fork Horse camp is in the forest along the Clark Fork of the Stanislaus River. As you might imagine this is a gorgeous area with scattered pines and grasslands nestled next to the rushing waters of the Stanislaus. What the horse lacks in services (no potable water or electrical connections) it makes up for in scenic beauty. The horse camp has 14 sites and two group areas that are specially designated for equestrian use. Most sites have picnic tables and fire pits. Centrally located vault toilets ‘round out the conveniences in the horse camp. The hiker’s camp next door is just a short walk away and offers potable water, flush toilets, and showers for those wanting extra comforts. The camp’s stock amenities are limited to a stock water tank and ample trees for highlines and space for portable corrals. Of course, we don’t come to areas like this just for the campground features, we come for the riding opportunities and Clark Fork doesn’t disappoint in this respect. 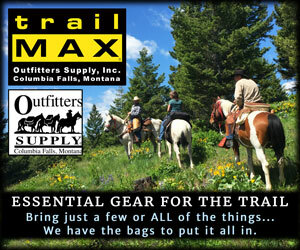 With numerous trails radiating out form the horse camp there are many different options for any level of rider here. From exploring the trails around the campground as they meander through the forests and meadows along the Stanislaus to long day, and even overnight pack trips into the nearby Carson-Iceberg Wilderness area, with its rugged landscapes punctuated with volcanic peaks and ridges, you’ll have a great ride. Sitting at an elevation of over 6,000 feet the best times to visit Clark Fork are generally late June to early August in a typical year. 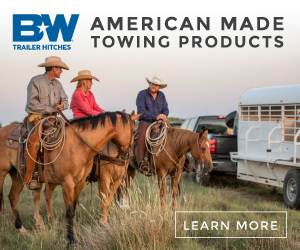 The local Backcountry Horsemen of California unit does a tremendous amount of work both in the camp and on the trails to make this an excellent destination point for riders from around the country. June of each year starts with members of the Mid Valley unit cleaning the camp and clearing debris from the trails. The unit’s members also serve as camp hosts throughout the riding season.